Beach Dogs: Bumming it With Your Bow Wow. There’s a warm sandy shore in front of you, deep blue waves constantly crashing against the sands with all the predictability of a heartbeat. The sun sits lofty in the sky, midway through its daily journey, shining down on your well baked skin, warming you despite the soft yet steady breeze that slowly massages the stress right out of your body. When suddenly-- a big, goofy, fur covered face blots out the bright blazing of the sun's rays. After a violent fit of shaking, you are now covered in wet sand and salt water. Meanwhile, your bubbly beach dog has resumed panting and staring at you expectantly. You look down annoyed, but bemused. How can you stay mad at that face? Time to throw the ball again. Salty Dogs Can Cause Some Trouble! Sounds like fun, right? Most everybody loves a beach vacation, and your mutt is no exception. He’s dying to stretch his salty dog's sea legs at the first available opportunity. Unfortunately, because of a beach dog’s mischievous habits, many vacation spots have put down a blanket ban on canine gallivanting. Not every beach is a dog beach. Beach dogs are lovable creatures in a care-free setting, but they can play havoc with a beach’s ecosystem, and hassle its patrons. Beach dogs chase resting birds, which can limit their ability to continue migrating. They can unearth nesting grounds of turtles and gulls alike. They will also occasionally badger other beach goers. Finally, if their waste is left unattended, it can lead to the spread of bacterial infections to both humans and other animals. On the bright side there are plenty of beaches all over the world that cater to aquatically inclined water dogs. These destinations are common enough, but they aren’t exactly free for all’s. The risks to the ecosystems for public beaches and dog beaches are identical. You still have to keep your beach dog within sight, clean up after it, and prevent it from digging above the shorelines. 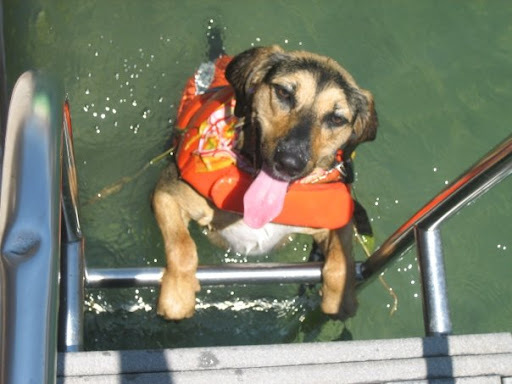 Keep Your Water Dog Afloat! There are also some safety concerns to look out for. After all, beaches are hot and dogs are hairy. 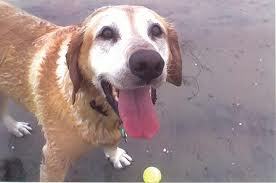 Keep a close eye on your beach dog, provide plenty of fresh water, and make sure they don’t overdo it swimming. Even for humans, swimming is excellent exercise. Dogs aren’t any different. If a dog isn’t in the best shape, the chances of injury increase with extended periods of exercise. And as always, never forget to treat your dog for fleas before venturing outdoors. 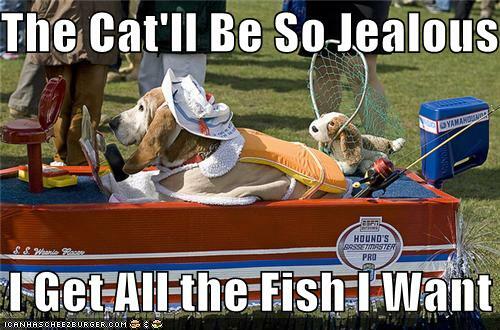 The Cat Will Be So Jealous. If you can follow these guidelines, keep your dog's flea and worm medications up to date, and observe leash laws wherever applicable, then you’re all set for a beach outing with your best friend. So set up an umbrella and bring a Frisbee, and see if you can’t wash your work week away with salty sea spray, and treat your beach dog to the time of its life.